This cookbook is a complete look at the making of pizza, from dough to finished pie. 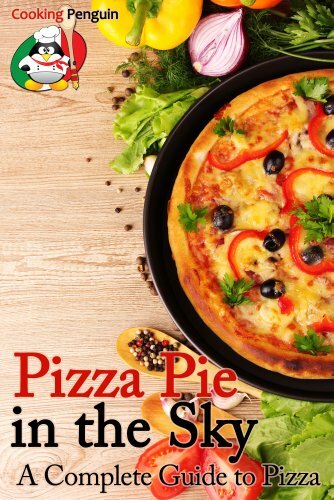 Focusing on technique and fundamentals, it will teach you how to prepare all of the famous types of pizzas such as hand tossed, deep dish, stuffed crust, calzone, grilled pizza, and dessert pizza to name a few. It also includes the outlines of toppings for some of the more archetypal pies such as the famous “White Pizza” and “Pizza Margherita”. After mastering the techniques and sauces here you will be able to make pizzas that far excel those of the famous chain restaurants in both flavor and appearance (of course homemade is always healthier, too). But remember, it is your pie, so don’t let anyone else tell you what you should put on top of it and you won’t have to eat humble pie!